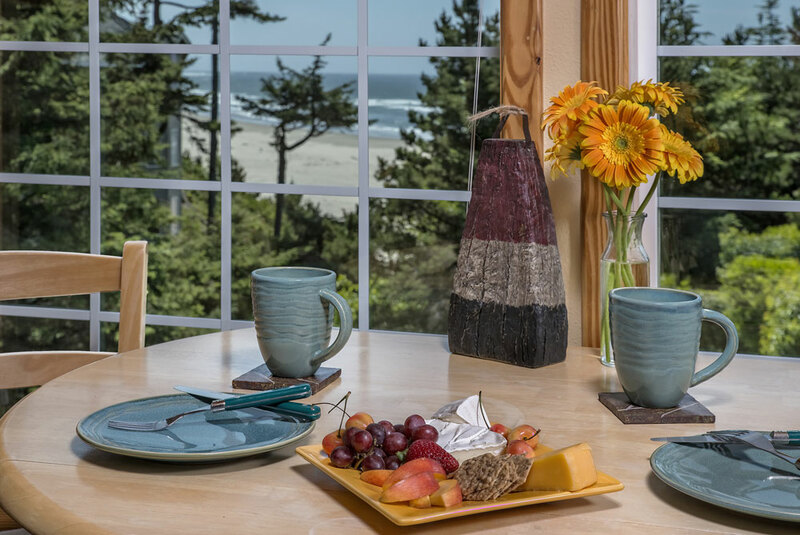 This charming beach cottage suite offers a private entrance via an exterior set of stairs, a spacious sitting room with river rock fireplace, kitchenette, and a wall of windows with gorgeous views overlooking the bluff to the ocean. 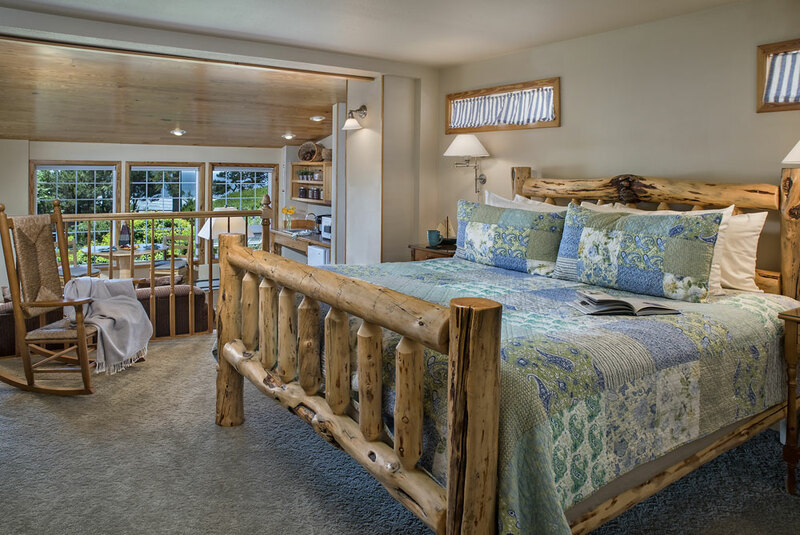 The bedroom area has a log king size bed completing the cottage feel. 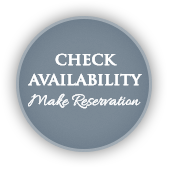 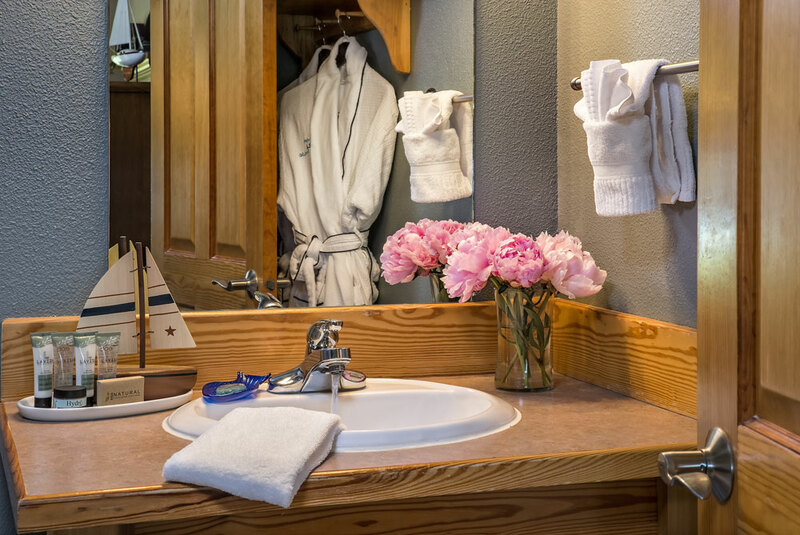 The private bath with whirlpool tub/shower guarantee complete relaxation and enjoyment. 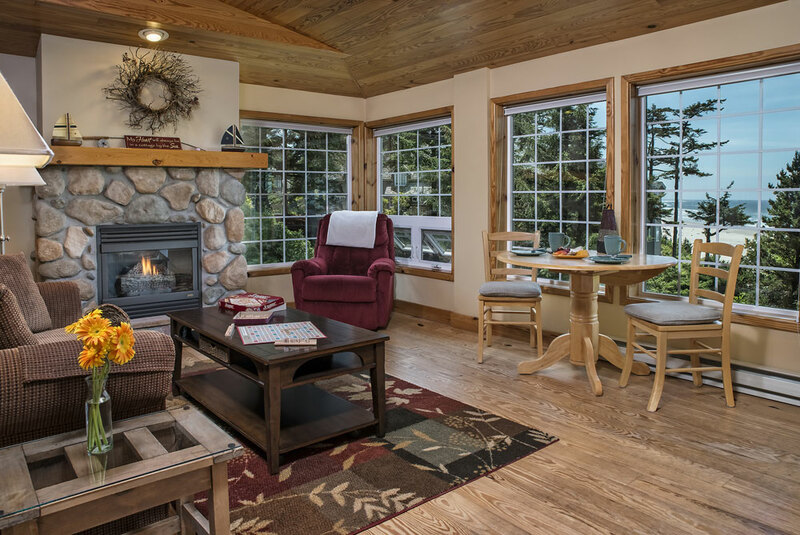 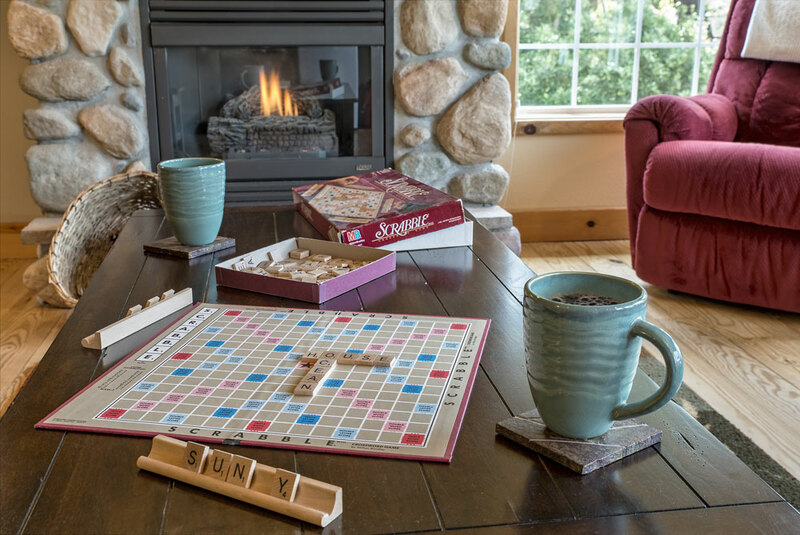 Romantic and restful, The Cottage is your own private retreat.